Warner have released the first poster for the follow-up to their hit comedy The Hangover. The sequel's plot runs a little like this: "Phil" [Bradley Cooper], "Stu" [Ed Helms], "Alan" [Zach Galifianakis] and "Doug" [Justin Bartha] have all traveled to Thailand for Stu's wedding where even more mediocre mayhem ensues. This movie hits theaters May 26th. 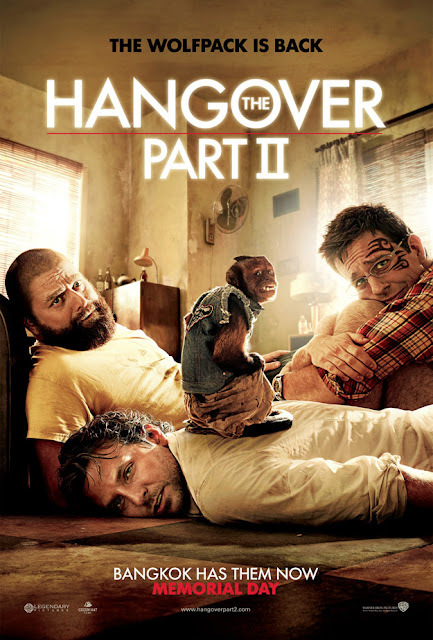 I'm reading: WARNER RELEASE THE POSTER FOR [THE HANGOVER PART 2]Tweet this!